The after-school program for gifted youth in Namibia is learning about the importance of saving the rhinos. NAMIBIA - I took a break from the wilderness and animals Wednesday to stop by a school in Namibia that’s working to save their rhinos from extinction. 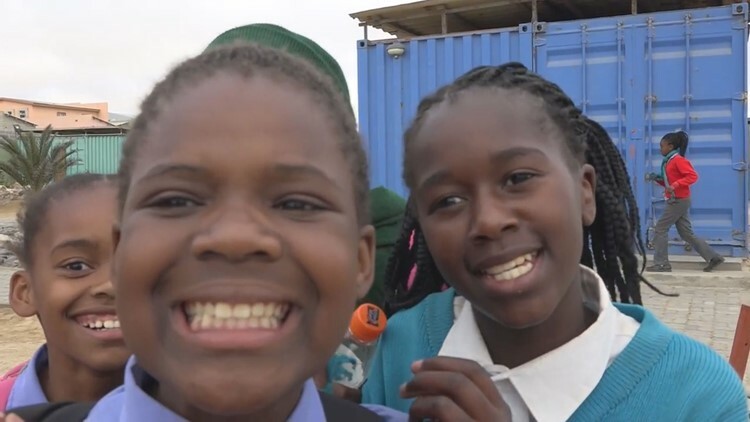 The Modesa Youth School in Swakopmund, Namibia is an after-school program for gifted youth who might otherwise not have additional educational opportunities. Save the Rhino Trust and The Minnesota Zoo have been working with communities, including these kids, to teach them the importance of saving the rhinos. Another reason I visited the class was because some students from Minnesota wanted to give them a special gift - a book about "A Day in the Life" of an Eden Lake Elementary student! The Modesa students were very excited about it! You can hear more from them in the video above.